Olivia is a native Angeleno, born and raised. 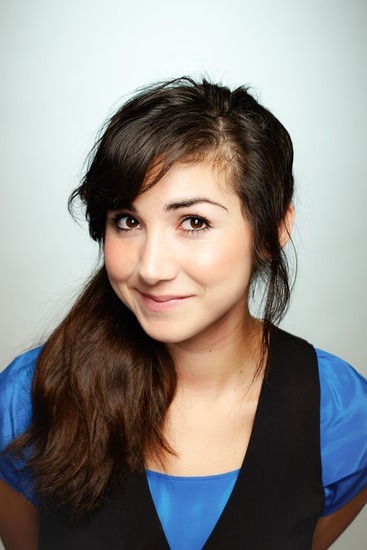 Since graduating from Los Angeles City College’s Theater Academy, she has collaborated with various artists and companies, developing and performing new plays, including the Latino Theater Company’s original jukebox musicals “Hope” and “Faith”, part of Evelina Fernandez’ Ovation-recognized “A Mexican Trilogy”; cARTel Collaborative’s touring environmental theater production, “We Are Gathered Here”; and Portable Currency’s Pick Of The Fringe! melodrama, “Telenovela Wives of Pancho Villa,” a historical-fiction farce of soap-operatic proportions. Because Olivia just can’t get enough of driving all around Southern California in traffic, she also recently toured Hamlet and A Midsummer Night’s Dream with Shakespeare By The Sea, performing for over 20K people throughout the season.